Skinny jeans are here to stay. This assorted set has that slim-fit, tapered ankle style that’s flattering and so fashionable right now. They look great with boots and belts, plain tees or dressy tops, and just about everything else you can imagine. Get yours in your favorite go-to color: denim gray, gray, or gray. 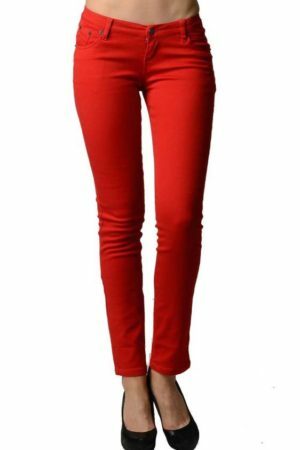 These classic colored jeans are perfect matches for bright colored tops, such as hot pink burnout tees or a playful purple tank tops. Pairing these jeans with the essentials already in your closet isn’t an issue, and you can easily show off some of your best shoes and accessories with these cute, quality bottoms as a base. Tuck the bottom of these jeans into boots in cooler weather, and keep them handy on warmer afternoons that call for a basic layered look that’s comfortable and easy to travel in. 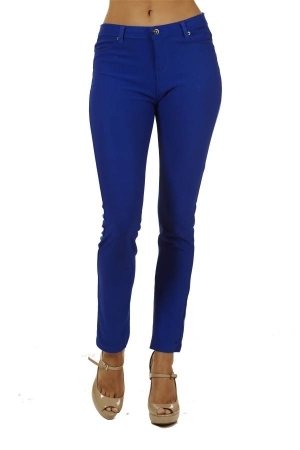 And remember that jeans can also go with sandals, especially since these figure slimming pants hug your hips and point right down to your feet, where a metallic sandal with a little heel might look nice.